Aston College comes to Naga City! Want to know how to save time and money to follow your dreams of studying and living in Australia? Don’t miss this opportunity of free counseling session from ASTON COLLEGE AUSTRALIA. 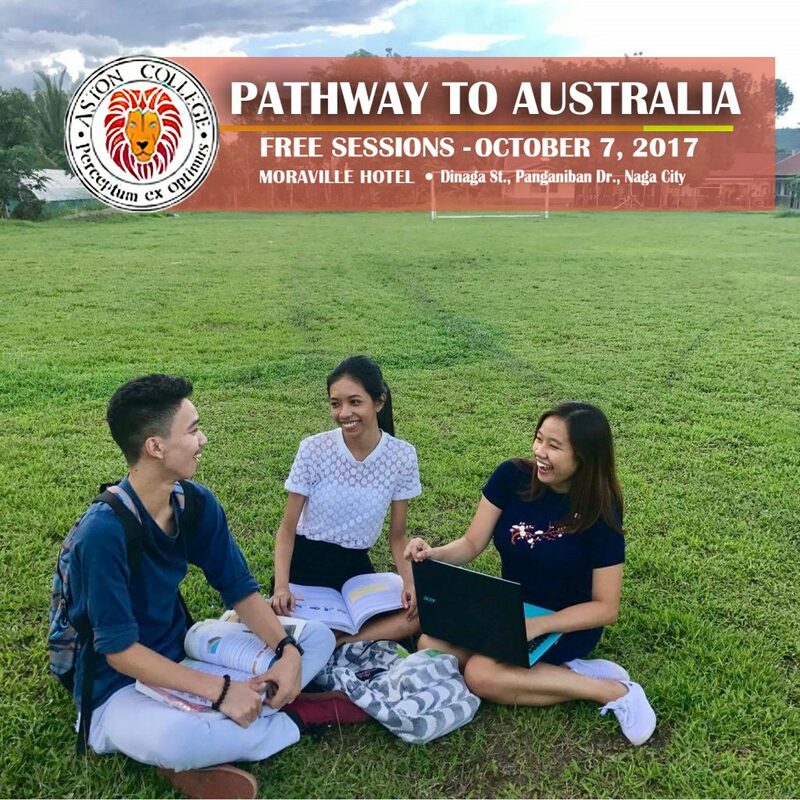 See you on October 7, 2017 (Saturday), from 2 to 5 pm, at Moraville Hotel, Dinaga St. Panganiban Drive, Naga City. The event is FREE and open to everyone. For questions, contact 0917-124-0258. Or click the registration button below to fill out the online registration form. Walk-in participants are also welcome; participants may register on the day of the event. To know more about Aston College (RTO ID 41468), visit our website at: www.aston.edu.au.